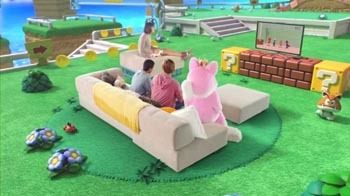 Should Nintendo continue to slip, Sony will dive into the family-friendly games market. Following Nintendo's unsuccessful financial quarter, Sony believes Nintendo's struggling situation impacts everyone in the console market. Fergal Gara, PlayStation UK managing director, said Sony will need to branch further into the family-friendly games market if Nintendo continues to decline. "[The decline of Nintendo] could be detrimental to the market, unless people like us raise our game and help tap into the younger consumer group that they serve rather well," Gara said. "That is the challenge to us. We need to bring maybe more family-friendly, more casual experiences into the market. I think there's a big market segment there that we should take the challenge to engage, and I see lots of potential to do that." Gara noted that Nintendo's handhelds has done well and that it's a market that Sony hasn't quite cracked yet. "The DS family was the bestselling format last year," he said. "Despite the stellar sales of the PS4 for the last four or five weeks, [the 3DS] was still the best selling console or console family." Sales for 3DS software rose over 45 percent last year from 2012. Several games were well received, and many were well suited to younger consumers as family-friendly games. Sony's Vita has not done as well in the handheld market, but the company hopes to change that by linking it to the PS4. "I think Vita has maybe not a huge position in the marketplace, but a very unique position," he continued. "First of all, it's the only device that offers the same level of control and interaction. It's the only device to offer the same level of visual beauty, and now it's the only console to offer that companionship with the leading home games console."